Toyota Platinum Etios (Facelift) Priced at Rs. 6.43 Lakh! Toyota earlier launched the Etios Platinum in Brazil. 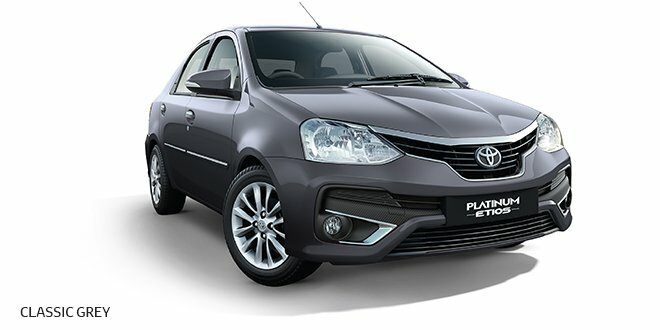 Prices of Etios Platinum in Brazil start from R$ 65,990 (INR 13.53 Lakhs). Prices for India start at Rs 6.94 Lakh. Additionally, Toyota is offering the base variant of the pre-facelift Etios for the taxi market. They cost Rs. 6.54 lakh and Rs. 7.67 lakh for the petrol and diesel variants respectively. The 2016 Toyota Platinum Etios Facelift could be slightly more fuel efficient than the current model. Above are the fuel mileage expectations. 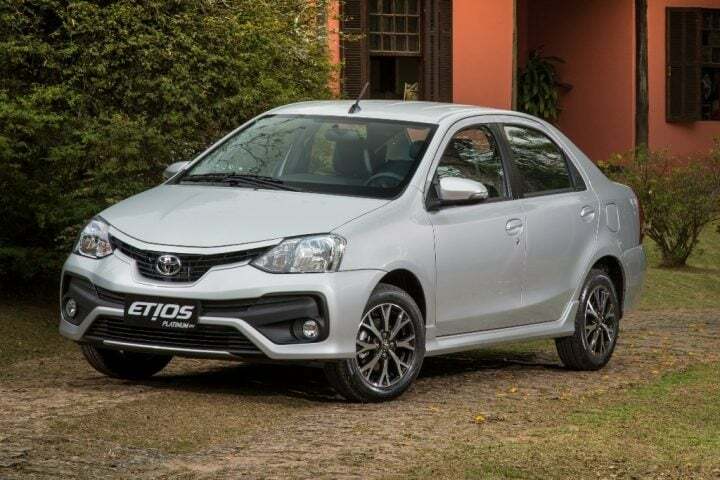 Toyota has not made many mechanical changes to the Etios. Both the body styles continue with the earlier engines. However, ABS is now standard across all models. The side body structure has also been refined for higher impact absorption. The rear bench sits on a stronger tubular structure. These improvements have increased the weight by 20 KGs. 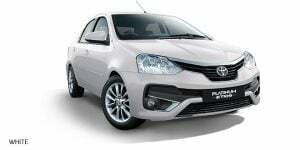 While the Liva hatchback gets the same 1.4-litre diesel engine as the Etios sedan, its petrol model gets a smaller 1.2-litre engine. This engine offers 79 bhp of max power and 104 Nm of peak torque. All models of the Platinum Etios and Liva come with only a 5-speed manual transmission. Images of the Brazil-spec model show a different steering wheel and black colour scheme. However, the India-spec model gets a beige treatment. The Platinum Etios facelift comes with more features like standard ABS. The new model gets a flat-bottomed steering wheel and a digital instrument panel. 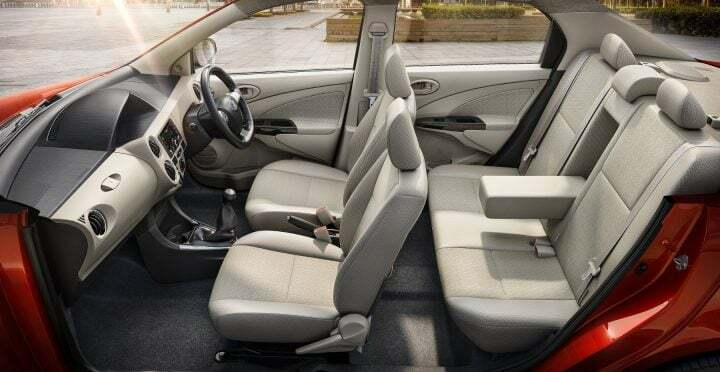 The new Etios also gets new rear seat headrests. Apart from this, there isn’t much else. Engines remain the same. The sedan continues with the 89 BHP, 1.5 litre petrol and 67 BHP, 1.4 litre Diesel engine. The hatchback gets a 79 BHP, 1.2-litre petrol and the 67 BHP, 1.4-litre Diesel engine from the sedan. All engines come with a 5 speed manual transmission. The new model’s clutch system and front shock absorbers have been improved. Also, the rubber engine mounts have been replaced by hydraulic mounts for reducing vibrations. The 2016 Platinum Etios is aimed at private car buyers. The Etios is popular among cabbies. However, it is yet to attract the private lot. The new Etios could change things. It looks better. It also has more features. The engines too should be more refined. Even the pricing is attractive. Stay tuned for more on the new Toyota Platinum Etios 2016 Facelift. What do you think? Is the new Platinum Etios 2016 more attractive? Write your thoughts on the 2016 Toyota Platinum Etios facelift below.